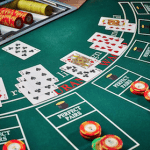 Blackjack is popular both online and at land-based casinos, though there are times when players should avoid engaging in the game, even if it is their favourite title. 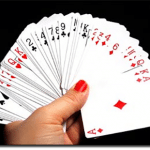 While we love playing blackjack, there are a few instances where we recommend players to step back and avoid playing 21 for a period of time and for your convenience we have listed these here. Regardless if you’re a new or experienced player, we recommend reading through these tips so you have the best possible time when playing one of the most popular card games out there. Avoid playing blackjack when you are tired, angry, emotional, or even intoxicated. If you’re effected by emotions or alcohol, you aren’t at your optimum playing mode and therefore you aren’t able to make informed decisions. Since blackjack relies on strategy and skill, it is very rare for a player to be able to do so at their best if they aren’t feeling their best. Or, if they are drunk, then they can be over-confident and thus make silly mistakes because of it. If you feel you can still play regardless of these factors, you will ultimately lose in the long run and this is usually due to making silly, avoidable mistakes. If you aren’t feeling your best, or you’re feeling too good due to alcohol, steer clear of this skill-based game. Whether you have lost that day, week, or month, on 21 or another game, if you are planning to play blackjack to make up for any losing streaks, our best advice is to step away and take a break for a bit. While everyones aim when playing blackjack is to win, if we are playing in order to make up for major or even minor losses it can ultimately backfire, and cause us to make impulsive decisions. This could also cause us to lose even more money. For example, if we have just experienced a big losing streak on another game, don’t choose 21 as a game to make up for these losses (or any game for that matter) – walk away. When acting on impulse, we are more inclined to increase our bets and make our moves with cloudy judgement, ultimately causing us to lose even more than what we already have. If you have a losing streak, take a break, re-evaluate your bankroll, and lower your bets if necessary when and if you do return. Bankrolls are a good thing to have when you play any casino game, but they are very important when playing a game which requires both strategy and luck, such as blackjack. This is because a game that relies on both strategy and luck means there needs to be another factor which determines your bet size as it is important to play using the basic strategy, but it shouldn’t be the determining factor on how much you wager. If you don’t use a bankroll which generally has a set amount of unit bets, each being the same, then you will be more inclined to bet big on one hand and ultimately lose your money quicker than you would with a bankroll. Additionally, if you have used up your bankroll, don’t create another one too soon as this can leave you in debt. Steer clear of making another deposit, or withdrawing anymore cash from the ATM and stick to playing free mode blackjack online, or watching a table at a land-based venue instead of playing with real money. This recommendation to avoid playing blackjack when you’re winning sounds like a silly one, but it is actually one of the smartest tips we have. If you’ve been playing blackjack or even another casino game, and you have won what you aimed to win, you should avoid playing blackjack or any other casino games for that matter and just pocket your winnings instead. While you may be inclined to place another bet after reaching your goal winnings, this could potentially begin a losing streak and ultimately cause you to lose everything. If you have happened to win more than you have aimed to win, you can pocket your goal winnings and start a new bankroll with any leftovers, though it might be best to just walk away a winner. Playing blackjack is meant to be fun, but if you aren’t enjoying it anymore you should avoid playing all together. Fun isn’t just determined by winning either, as you can still have fun if you are losing though losing can aggravate players. If you are finding yourself getting irritated by other players, or you’ve become bored of the game, or you just aren’t interested in 21 anymore than you should walk away, or exit the window if you are playing online. Casino games weren’t created in order to bore or aggravate – they were made to create an added thrill and an element of entertainment. If you find yourself playing blackjack too much that it isn’t interesting anymore, take a break, because the game requires a level of concentration and if you aren’t engaging completely with the game you will most likely lose your money. This one applies specifically to online casinos. If you aren’t sure if the Internet venue is regulated you should avoid playing any blackjack titles, or any other games for that matter, here. Regulated casinos, such as the ones we recommend, ensure players get access to fair games that aren’t rigged in the online operator’s favour. Unregulated online casinos have the ability to turn rogue easily and inconspicuously without players realising before it is too late meaning they could be offering players games which they are going to lose regardless if they implement a basic strategy or have luck on their side. Players can scroll to the bottom of the homepage of the online casino to see what jurisdictions and third party testing agencies are regulating the online operators, or even do a simple Google search, though this can still be unclear. We recommend going to our suggested online casinos to save you the trouble as these are all regulated and trustworthy, meaning you don’t have to avoid playing any blackjack titles here.